A tour de force of inventive wit Shakespeare's Dog is the eccentric and high-spirited story of William Shakespeare and how he came to bed and wed Anne Hathaway. 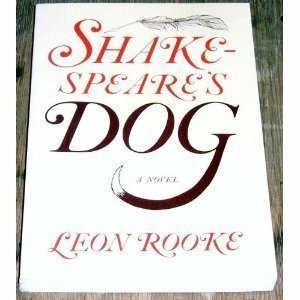 Told from the point of view of the Bard's dog, this astonishing novel of comic bliss, hailed as a triumph of language and an amusing delight. 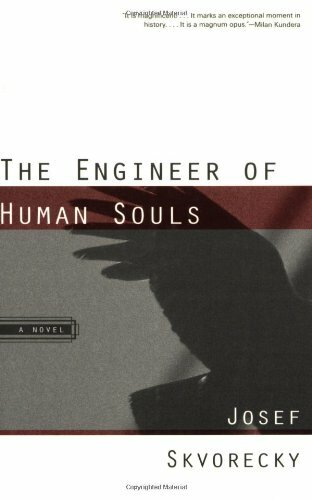 The Engineer of Human Souls is a labyrinthine comic novel that investigates the journey and plight of novelist Danny Smiricky, a Czech immigrant to Canada. As the novel begins, he is a professor of American literature at a college in Toronto. Out of touch with his young students, and hounded by the Czech secret police, Danny is let loose to roam between past and present, adopting whatever identity that he chooses or has been imposed upon him by History. 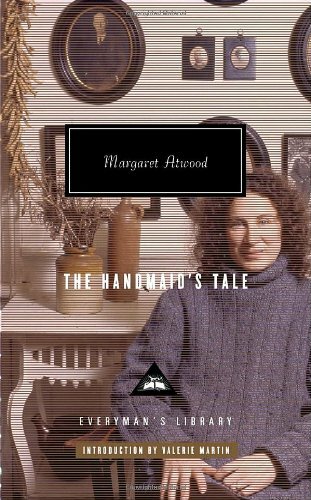 A gripping vision of our society radically overturned by a theocratic revolution, Margaret Atwood's The Handmaid's Tale has become one of the most powerful and most widely read novels of our time. Like Aldous Huxley's Brave New World and George Orwell's Nineteen Eighty-Four, The Handmaid's Tale has endured not only as a literary landmark but as a warning of a possible future that is still chillingly relevant. 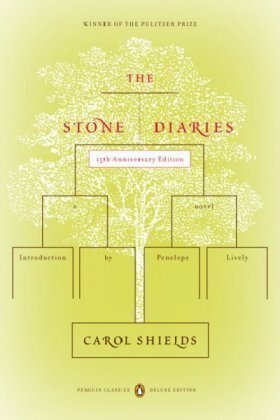 A divorced woman returns to her childhood home where she confronts the memory of her parents' confounding yet deep bond. The accidental near-drowning of a child exposes the fragility of the trust between children and parents. A young man, remembering a terrifying childhood incident, wrestles with the responsibility he has always felt for his younger brother. 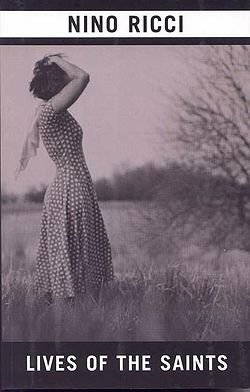 In these and other stories Alice Munro proves once again a sensitive and compassionate chronicler of our times. Drawing us into the most intimate corners of ordinary lives, she reveals much about ourselves, our choices, and our experiences of love. Considering whether it is moral to use radical and violent solutions to stop the destruction of the environment, this dark novel portrays a succession of fights over land rights and pollution in northern Ontario. As tensions increase, a local Canadian Native man decides to follow his vision of revenge by kidnapping the manager of the paper mill and a reporter who arrives on the scene. 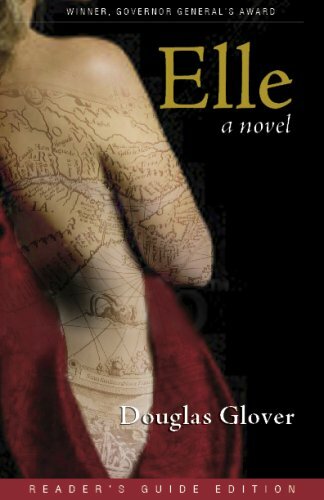 David Adams Richards' Governor General's Award-winning novel is a powerful tale of resignation and struggle, fierce loyalties and compassion. 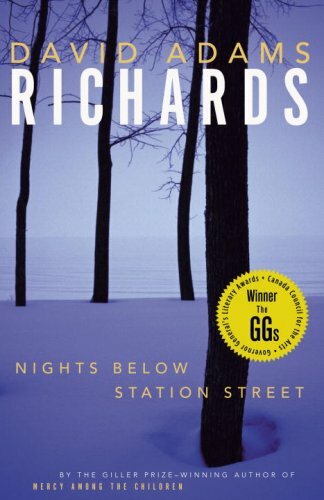 This book is the first in Richards' acclaimed Miramichi trilogy. 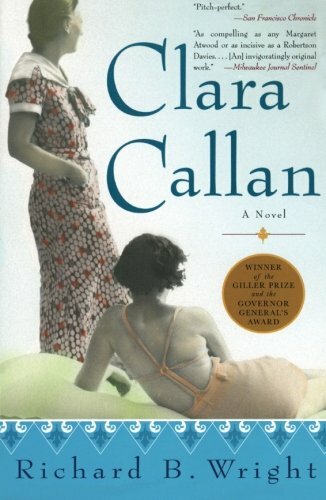 Set in a small mill town in northern New Brunswick, it draws us into the lives of a community of people who live there, including: Joe Walsh, isolated and strong in the face of a drinking problem; his wife, Rita, willing to believe the best about people; and their teenage daughter Adele, whose nature is rebellious and wise, and whose love for her father wars with her desire for independence. 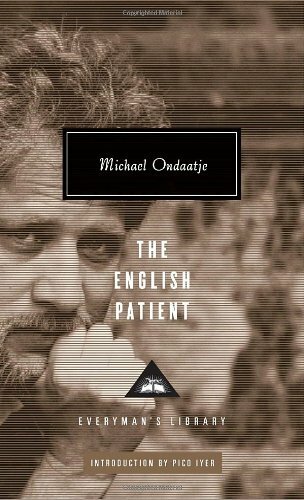 Richards' unforgettable characters are linked together in conflict, and in articulate love and understanding. Their plight as human beings is one we share. Set in a small, golden village nestled in folds of the Italian Apennines, The Book of Saints is a deceptively simple novel of startling power and mythic dimension. Young Vittorio Innocente is the pampered son of Cristina, a women whose husband has left Italy for work in North America. Beneath her placid surface, Cristina yearns to escape the restrictive village; and, one day, Vittorio is startled to find her in the family's stable, her ankle swelling from a snakebite. But what really happened to Cristina that day becomes the center of this tale—a story of passion and superstition beneath pastoral calm, a mother's secret life witnessed by a child. The first novel in a trilogy that follows Vittorio to adulthood, The Book of Saints is Ricci's acclaimed debut. It is Bombay in 1971, the year India went to war over what was to become Bangladesh. A hard-working bank clerk, Gustad Noble is a devoted family man who gradually sees his modest life unravelling. His young daughter falls ill; his promising son defies his father's ambitions for him. He is the one reasonable voice amidst the ongoing dramas of his neighbours. One day, he receives a letter from an old friend, asking him to help in what at first seems like an heroic mission. But he soon finds himself unwittingly drawn into a dangerous network of deception. Compassionate, and rich in details of character and place, this unforgettable novel charts the journey of a moral heart in a turbulent world of change. of forbidden love, and of annihilating anger—that illuminate the story, and the consequences of the mysteries they reveal radiate outward in shock waves that leave all the characters forever changed. A Discovery of Strangers tells of the meeting of two civilizations – the first encounter of the nomadic Dene people with Europeans – in an imaginative reconstruction of John Franklin's first map-making expedition in 1819—21 in what is now the Northwest Territories. At the heart of the novel is a love story between twenty-two-year-old midshipman Robert Hood, the Franklin expedition's artist, and a fifteen-year-old Yellowknife girl known to the British as Greenstockings. 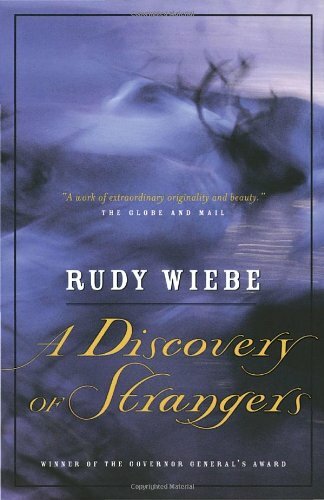 A national bestseller, published also in Germany and China, Wiebe's first novel in eleven years and his twelfth work of fiction won him his second Governor General's Award for Fiction at the age of sixty, over strong competition from Margaret Atwood and Alice Munro. It is a story of love, murder, greed and passion in an unforgiving Arctic landscape. French-Canadian voyageurs paddle the small British expedition into the land of the Yellowknives to search for the fabled Northwest Passage. While this trip would not prove as disastrous as Franklin's third expedition, nevertheless more than half his men did not survive the harsh conditions. The long winter stopover allows for interchange between the cultures. When the son of a Lancashire clergyman and the daughter of a native elder fall in love, they devise a language of their own to cross their wordless divide. Hood will not survive to see the birth of his daughter, perishing in 1821 in an attempt to reach Greenstockings's band 450 kilometres south. Nor will the Yellowknives survive much longer: within twenty years, they will be all but wiped out by a smallpox epidemic brought by the white men. From “an eerily original, powerfully moving distinctive voice” (Time Out) comes a collection of funny, disturbing suburban tales that invite comparisons to Raymond Carver and Flannery O'Connor. 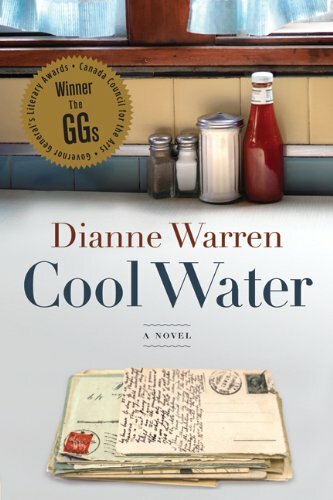 Winner of Canada's Governor-General's Literary Award. 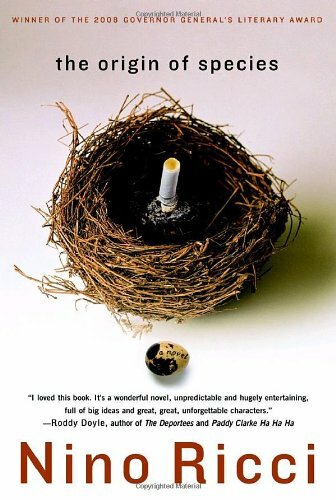 Originally published in 1996, The Englishman's Boy is the first in a Guy Vanderhaeghe trilogy that includes the nationally best-selling novel The Last Crossing, with the third book due to be published next year. 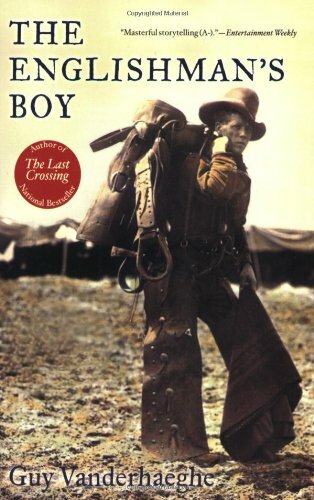 By far his most successful book in his native Canada, The Englishman's Boy expertly depicts an American West where greed and deception act side by side with honor and strength. In 1920s Hollywood, elusive movie studio owner Damon Ira Chance is obsessed with making pictures rooted in American history and experience, with the poetry of fact. So when he discovers that one of the most popular bit players in the Westerns is a real-life tin godthe last buffalo of the old West, Shorty McAdoohe commissions an ambitious young screenwriter named Harry Vincent to hunt Shorty down and retell his story. 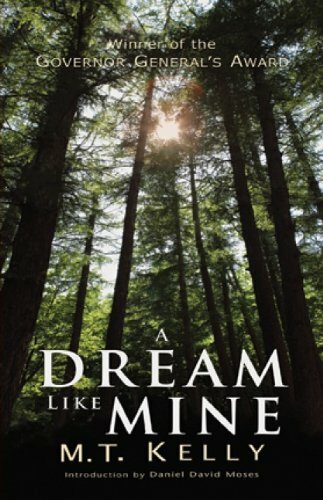 Richly textured and evocative, this is an unforgettable story about power, greed, and the pull of dreams. At once an intensely original character study and a hugely entertaining page-turner, The Englishman's Boy is a gritty, resonant novel of timeless beauty and insight. In Rochester, New York, a seventy-five-year-old artist, Austin Fraser, is creating a new series of paintings recalling the details of his life and of the lives of those individuals who have affected him--his peculiar mother, a young Canadian soldier and china painter, a First World War nurse, the well-known American painter Rockwell Kent, and Sara, a waitress from the wilderness mining settlement of Silver Islet, Ontario, who became Austin?s model and mistress. 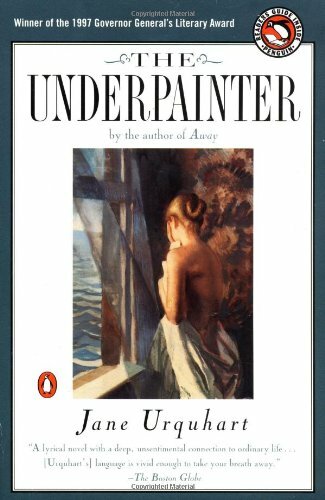 Spanning more than seven decades, from the turn of the century to the mid-seventies, The Underpainter--in range, in the sheer power of its prose, and in its brilliant depiction of landscape and the geography of imagination--is Jane Urquhart's most accomplished novel to date, with one of the most powerful climaxes in contemporary fiction. 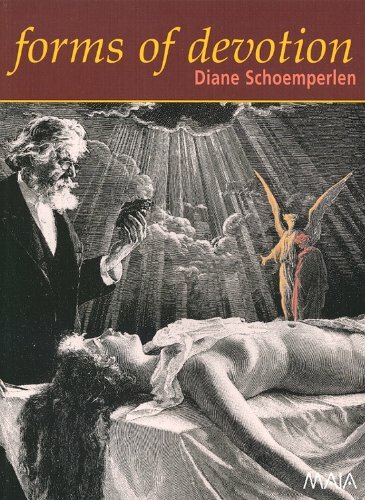 A brilliant interplay between words and images informs this collection of stories, in which devotion is explored in its many forms. 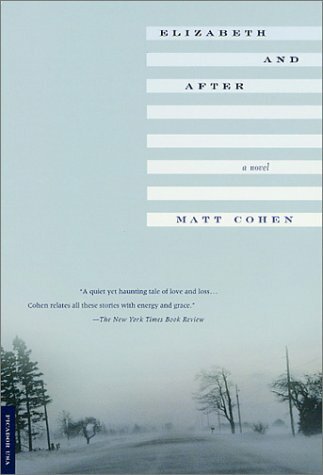 A touching and resonant story of a man who returns to the small town of West Gull, Ontario, to mend his family's legacy of alcohol and violence, to reconnect with his young daughter, and to reconcile himself with the spirit of his beautiful mother, killed several years earlier in a tragic accident. Elizabeth and After masterfully wraps us up in the lives of Carl and his family, and the other 683 odd residents of this snowy Canadian hamlet. Anil's Ghost transports us to Sri Lanka, a country steeped in centuries of tradition, now forced into the late twentieth century by the ravages of civil war. Into this maelstrom steps Anil Tissera, a young woman born in Sri Lanka, educated in England and America, who returns to her homeland as a forensic anthropologist sent by an international human rights group to discover the source of the organized campaigns of murder engulfing the island. What follows is a story about love, about family, about identity, about the unknown enemy, about the quest to unlock the hidden past–a story propelled by a riveting mystery. 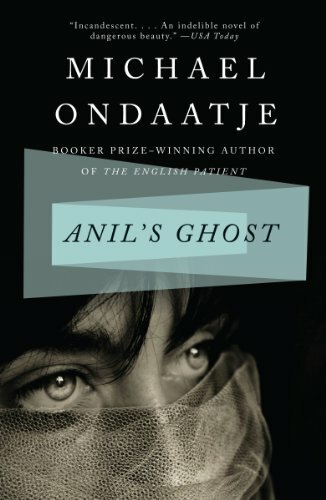 Unfolding against the deeply evocative background of Sri Lanka's landscape and ancient civilization, Anil's Ghost is a literary spellbinder–Michael Ondaatje's most powerful novel yet. 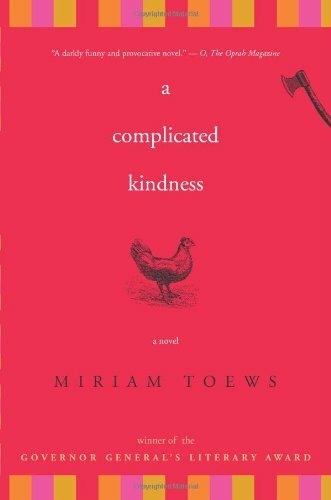 "Half of our family, the better-looking half, is missing," Nomi Nickel tells us at the beginning of A Complicated Kindness. Left alone with her sad, peculiar father, her days are spent piecing together why her mother and sister have disappeared and contemplating her inevitable career at Happy Family Farms, a chicken slaughterhouse on the outskirts of East Village. Not the East Village in New York City where Nomi would prefer to live, but an oppressive town founded by Mennonites on the cold, flat plains of Manitoba, Canada. This darkly funny novel is the world according to the unforgettable Nomi, a bewildered and wry sixteen-year-old trapped in a town governed by fundamentalist religion and in the shattered remains of a family it destroyed. In Nomi's droll, refreshing voice, we're told the story of an eccentric, loving family that falls apart as each member lands on a collision course with the only community any of them have ever known. A work of fierce humor and tragedy by a writer who has taken the American market by storm, this searing, tender, comic testament to family love will break your heart. This astonishing novel - unlike anything Gilmour has ever written before - begins with every parent's worst nightmare: the disappearance of a child. A father makes a casual error of judgement one evening and leaves his six-year-old son alone for fifteen minutes. When he returns the child is gone and three lives are changed forever. Has the boy been kidnapped? Spirited out of the country? Is he dead? The story that unfolds is told by the novel's narrator, a television host named Roman, who searches for his son through the city and through the underworld of dreams and tries to bring him back. Pursued by an unshakeable conviction that his son is speaking directly to him, Roman begins to enter a haunting relationship with the missing child and his own conscience. In the meantime, his behaviour becomes increasingly erratic and he is rejected by his grieving and angry wife, eventually fired from his job, and shadowed by a persistent policeman who thinks Roman is hiding the child. 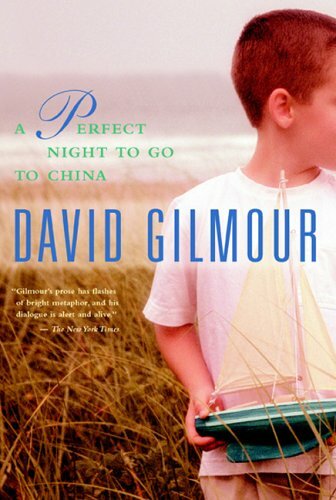 Written in the clear, elegant prose Gilmour is known for, A Perfect Night to Go to China is a completely absorbing and original work of fiction. It sets up a harrowing premise and doesn't let up until the last surprising page. Driven from the only home he has known during Ireland's Great Hunger of 1847, Fergus O'Brien makes the harrowing journey from County Clare to America, traveling with bold girls, pearl boys, navvies, and highwaymen. Along the way, Fergus meets his three passionate loves–Phoebe, Luke, and Molly–vivid, unforgettable characters, fresh and willful. 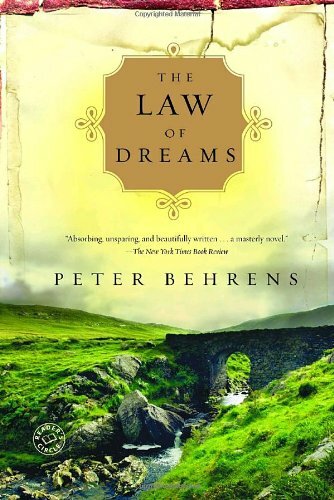 Based on Peter Behrens's own family history, The Law of Dreams is lyrical, emotional, and thoroughly extraordinary–a searing tale of ardent struggle and ultimate perseverance. Montreal during the turbulent mid-1980s: Chernobyl has set Geiger counters thrumming across the globe, HIV/AIDS is cutting a deadly swath through the gay population worldwide, and locally, tempers are flaring over the recent codification of French as the official language of Quebec. Hiding out in a seedy apartment near campus, Alex Fratarcangeli (“Don't worry. . . . I can't even pronounce it myself”), an awkward, thirty-something grad student, is plagued by the sensation that his entire life is a fraud. Scarred by a distant father and a dangerous relationship with his ex Liz, and consumed by a floundering dissertation linking Darwin's theory of evolution with the history of human narrative, Alex has come to view love and other human emotions as “evolutionary surplus, haphazard neural responses that nature had latched onto for its own insidious purposes.” When Alex receives a letter from Ingrid, the beautiful woman he knew years ago in Sweden, notifying him of the existence of his five-year-old son, he is gripped by a paralytic terror. Whenever Alex's thoughts grow darkest, he recalls Desmond, the British professor with dubious credentials whom he met years ago in the Galapagos. Treacherous and despicable, wearing his ignominy like his rumpled jacket, Desmond nonetheless caught Alex in his thrall and led him to some life-altering truths during their weeks exploring Darwin's islands together. It is only now that Alex can begin to comprehend these unlikely life lessons, and see a glimmer of hope shining through what he had thought was meaninglessness. When Lady Duff Gordon, paragon of London society, departs for the hot, dry climate of Egypt to seek relief from her debilitating tuberculosis, her lady's maid, Sally, doesn't hesitate to leave the only world she has known in order to remain at her mistress's side. As Sally gets farther and farther from home, she experiences freedoms she has never known—forgoing corsets and wearing native dress, learning Arabic, and having her first taste of romance. 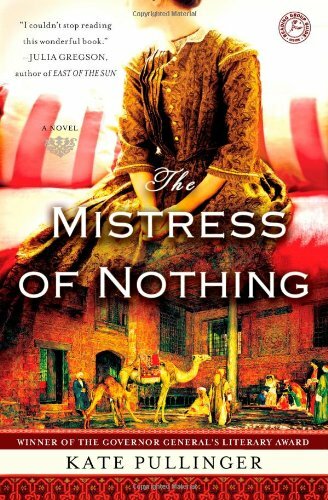 But freedom is a luxury that a lady's maid can ill afford, and when Sally's newfound passion for life causes her to forget what she is entitled to, she is brutally reminded she is mistress of nothing. Ultimately she must choose her master and a way back home—or a way to an unknown future. Juliet, Saskatchewan, is a blink-of-an-eye kind of town -- the welcome sign announces a population of 1,011 people -- and it's easy to imagine that nothing happens on its hot and dusty streets. Situated on the edge of the Little Snake sand hills, Juliet and its inhabitants are caught in limbo between a century -- old promise of prosperity and whatever lies ahead. But the heart of the town beats in the rich and overlapping stories of its people: the foundling who now owns the farm his adoptive family left him; the pregnant teenager and her mother, planning a fairytale wedding; a shy couple, well beyond middle age, struggling with the recognition of their feelings for one another; a camel named Antoinette; and the ubiquitous wind and sand that forever shift the landscape. Their stories bring the prairie desert and the town of Juliet to vivid and enduring life. This wonderfully entertaining, witty and deeply felt novel brims with forgiveness as its flawed people stumble towards the future. 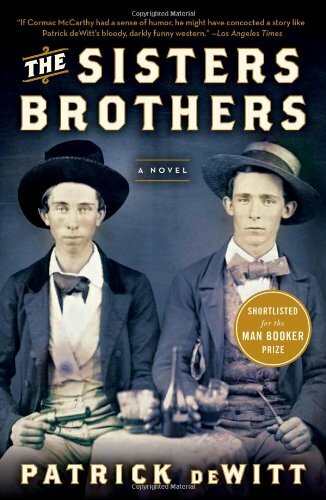 Patrick deWitt, a young writer whose “stop-you-in-your-tracks writing has snuck up on the world” (Los Angeles Times), brings us The Sisters Brothers, a darkly comic, outrageously inventive novel that offers readers a decidedly off-center view of the Wild, Wild West. Set against the back-drop of the great California Gold Rush, this odd and wonderful tour de force at once honors and reshapes the traditional western while chronicling the picaresque misadventures of two hired guns, the fabled Sisters brothers. The most original western since the Coen Brothers re-interpreted True Grit—you've never met anyone quite like The Sisters Brothers. 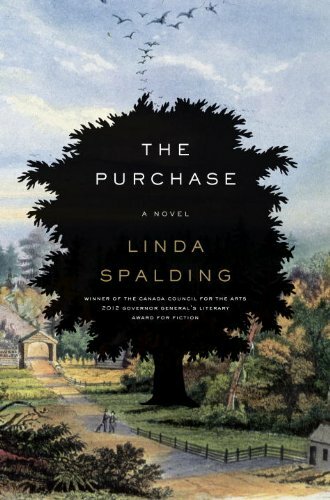 In this provocative and starkly beautiful historical novel, a Quaker family moves from Pennsylvania to the Virginia frontier, where slaves are the only available workers and where the family's values and beliefs are sorely tested. In 1798, Daniel Dickinson, recently widowed and shunned by his fellow Quakers when he marries his young servant girl to help with his five small children, moves his shaken family down the Wilderness Road to the Virginia/Kentucky border. 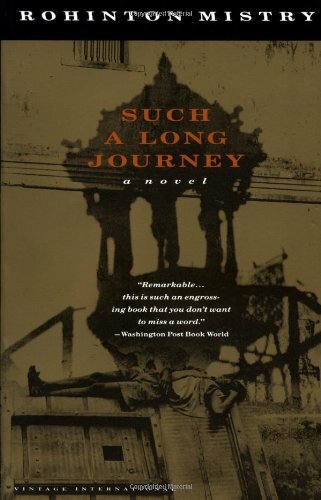 Although determined to hold on to his Quaker ways, and despite his most dearly held belief that slavery is a sin, Daniel becomes the owner of a young boy named Onesimus, setting in motion a twisted chain of events that will lead to tragedy and murder, forever changing his children's lives and driving the book to an unexpected conclusion. 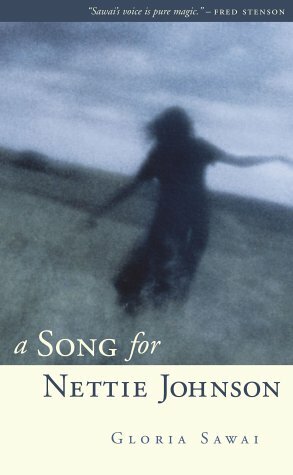 A powerful novel of sacrifice and redemption set in a tiny community on the edge of the frontier, this spellbinding narrative unfolds around Daniel's struggle to maintain his faith; his young wife, Ruth, who must find her own way; and Mary, the eldest child, who is bound to a runaway slave by a terrible secret. Darkly evocative, The Purchase is as hard-edged as the realities of pioneer life. 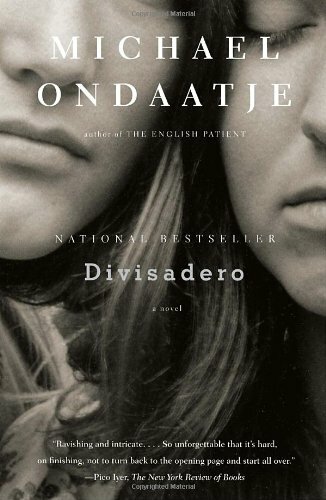 Its memorable characters, drawn with compassion and depth, are compellingly human, with lives that bring light to matters of loyalty and conscience.